Hooray! Despite behind a month and a half past my original deadline, Christmas only 2 weeks away, pausing to celebrate my little man's birthday and managing the busiest cookie month EVER - I finally finished the Harry Potter DIY gifts for my daughter. You can read more about how I made the potions in my earlier post here. 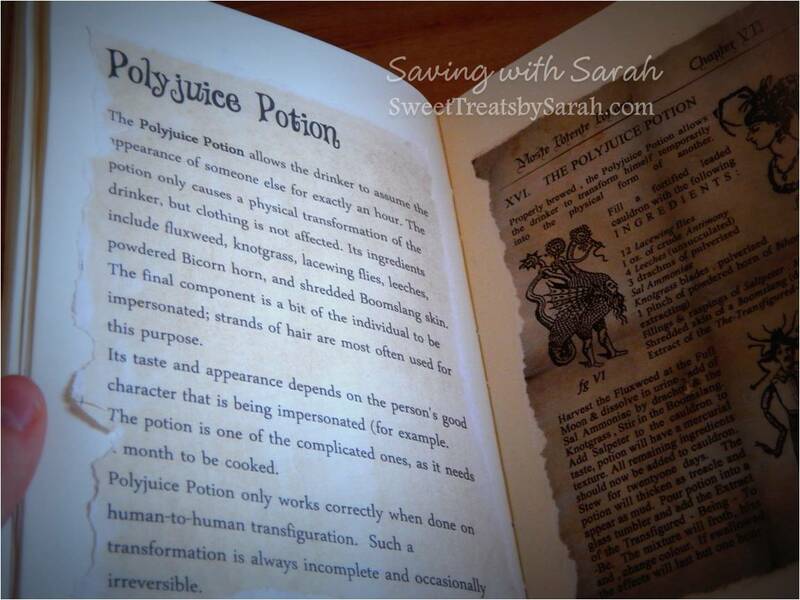 I opted to make it look like a scrapbook of spells. A place where she could see the spells she's read about, but also add her own. 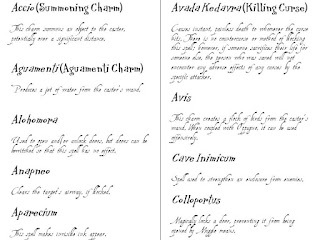 So, I looked up the spells here and formatted them using these free fonts. I printed them on regular printer/copy paper, ripped the edges and aged them with tea. 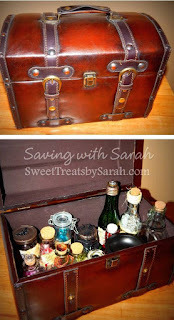 After they dried, I glued them inside the leathery sketchbook I purchased from Hobby Lobby. 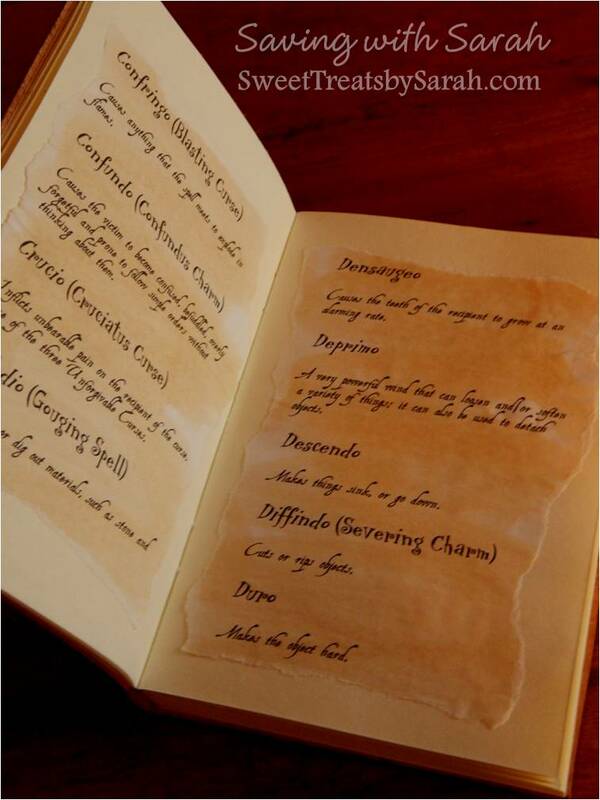 I also hand wrote a few spells for an even more handmade feel. Finally, I added a sticker with the Hogwarts crest inside the front cover. If you don't feel like editing and formatting your own spells, you can use the ones I prepared for FREE here. 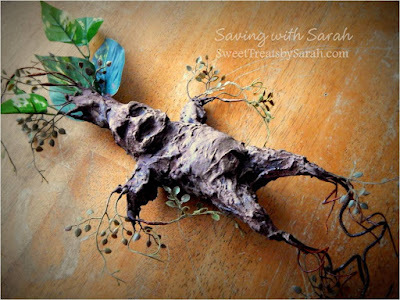 I'm a big fan of using what I have on hand for diy projects - so I made this Mandrake Root for FREE! First, I shaped his body out of tin foil (this doesn't need to be perfect, as you'll be covering it in another thick material.) Next I added the leaves and roots (from fake stems I had stored) using floral tape to attach them to the tin foil. To start shaping the body, I used all purpose compound (drywall mud) mixed with a little sand. It took approx 3 coats to achieve the shape I wanted. You could also use clay to mold the body. Once that dried, I added some hot glue around the stems to assure they would stay in place and painted the little guy. Finally I sprayed a sealer over the entire thing. 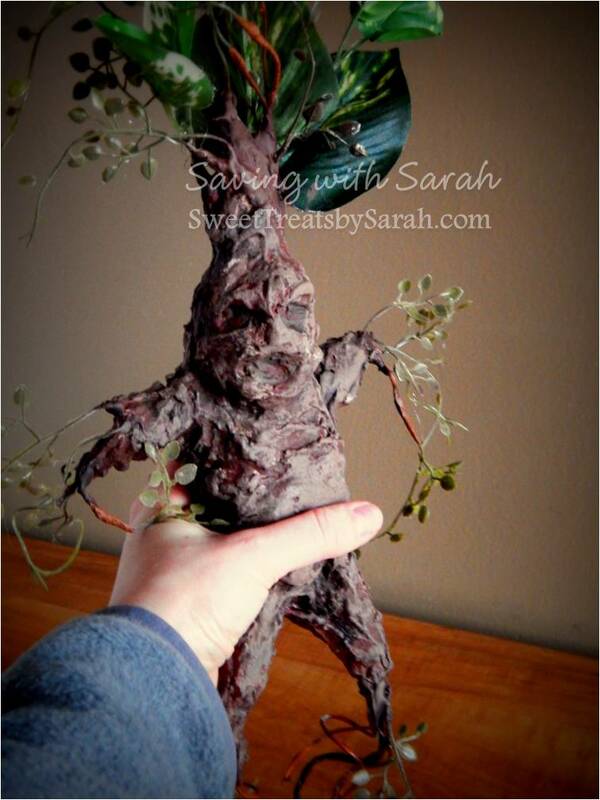 *I'm planning on purchasing a little pot and a piece of brown felt (to look like soil) for him. Oh and be sure to wear your ear muffs before you play with him! 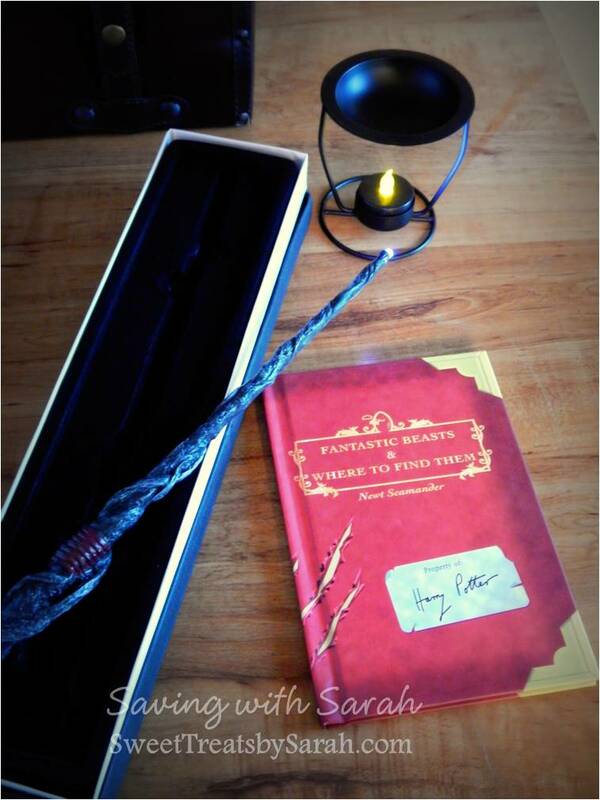 Book: Fantastic Beasts and Where to Find Them purchased on ebay. Proceeds go to charity too! Light up Magic Wand purchased on ebay. This is really nice and very much exceeded my expectations. It is not thick and bulky like the ones they sell in the costume store and the led light is very bright. This seems like so much fun!! I might suggest doing this with my boyfriend since I'm such a Harry Potter geek! eeeep! What program did you use to make the spell book and add the fonts? Thank you SamSam! I'm glad you like it. Have fun wizarding! This is great, this post gives me a lot of information and opens up my knowledge, let's discuss this issue, I'm very excited, thanks so much for posting it. I really admire the writer of this post, hoping that the article will be more noticeable. This is a great source of information, I will keep track of your posts and share them with everyone. author of this post is very talented, I greatly admire you, hope you will succeed in the next post. I would love to keep track of your posts, It is really a useful source of information, wish you success. i never know the use of adobe shadow until i saw this post. thank you for this! this is very helpful. i love reading this article so beautiful! !great job!